For small island developing States, the devastating impacts of climate change struck at the very heart of their survival, and without renewed political efforts to mitigate their reach, those nations would continue to suffer dramatic setbacks in their economic and social well-being, several world leaders warned today, as the General Assembly moved into the fifth day of its annual debate. While no country was immune, “the foreseeable consequences of climate change threaten us even more dramatically, both in terms of human and economic development”, said Navinchandra Ramgoolam, Prime Minister of Mauritius, urging world leaders to make climate change a top priority on the next global development agenda. He fully supported the Secretary-General’s proposal to convene a Climate Summit in 2014 to focus political attention on the severity of the issue. In addition, he pressed the United Nations to formulate a “Global Vision for the Oceans”, which would both expand economic space for small island nations and ensure use of their living and non-living resources. Such an approach could help overcome some of their vulnerabilities. “As the world realizes the tremendous potential of marine renewable energies, we will see the oceans from a different perspective,” he pointed out. Along similar lines, Leo Dion, Deputy Prime Minister of Papua New Guinea, asked for oceans to be a stand-alone sustainable development goal in the post-2015 development agenda. The adverse impacts of climate change were a serious concern. While contributing the least to that threat, small islands suffered the most and risked being submerged by rising sea levels. He also urged States to renew their political commitment to prioritize small islands’ needs in the post-2015 development agenda. Making his case, Vete Sakaio, Deputy Prime Minister of Tuvalu, said the consequences of climate change and sea-level rise were dire, and that international inaction could compromise Tuvalu’s survival and security. He questioned the relevance of discussing sustainable development goals when States continued to fail in their duties to urgently reduce greenhouse gas emissions and assist developing countries in their adaptation. For his country, the climate change issue was predominantly linked to the ocean. He called on the international community to “please save Tuvalu against climate change”. José Maria Pereira Neves, Prime Minister of Cape Verde, said record global carbon dioxide concentrations could exacerbate social tensions, opening the doors to national and regional conflicts. He called on the United Nations to “address the issue that endangered our common future”, taking the necessary decisions and fulfilling the financial commitments for change, particularly in the most vulnerable countries. Focusing on finances, Vanuatu’s Prime Minister, Moana Carcasses Kalosil, highlighted his country’s commitment to addressing climate change, renewable energy and sustainable development, calling for urgent actions and decisions. Fulfilment of financial pledges had not kept pace with the climate change-induced impacts on small island developing States. The 2014 International Year, and the Third International Conference on Small Island developing States to be held next year in Samoa, would offer strong opportunities to focus international attention on the unique needs of island nations, several speakers added. The day also focused on the diverse concerns of Eurasian countries, some of which were acutely feeling the effects of climate change. Erlan Abdyldayev, Minister for Foreign Affairs of Kyrgyzstan, said global warming had shrunk his country’s glaciers by 30 per cent, and according to forecasts, they would melt completely by 2100 without urgent attention. Melting waters were the primary source of rivers in Central Asia and he urged continued international assistance to help the region address that problem. Titus Corlatean, Minister for Foreign Affairs of Romania, applauded the creation of the Open Working Group on the Sustainable Development Goals as an important step towards implementing the outcome of the United Nations Conference on Sustainable Development, held in Rio last year. He welcomed the creation of an intergovernmental committee to analyse options for an effective financing strategy and encouraged its coordination with the Open Working Group. For others, those issues reflected broader questions about how to bring about real change that would fulfil a country’s potential. Edi Rama, Prime Minister of Albania, said that as a small country with great potential, Albania had good and hard-working people. Highlighting his country’s efforts to join the European Union, he said that States in the region should see the bloc as a vehicle for a better and more prosperous common future. Taking a different view, Vladimir Makei, Minister for Foreign Affairs of Belarus, stressed the importance of building a robust middle class in every country. “We are convinced that the middle class produces a benign effect at the national level,” he asserted. Middle-income countries were the best safeguard in a stable, multilateral and fair international system. Many of those countries had simply lifted themselves from the grip of poverty. Other speakers today included the Prime Ministers of Jamaica, Malaysia, India, and the Bahamas, as well as the Head of Government of Andorra. Also addressing the Assembly was the Chairman of the Council of Ministers of Nepal. The Deputy Prime Ministers of the Lao People’s Democratic Republic, Ireland, Thailand and Solomon Islands also delivered statements, as did the Foreign Ministers of Germany, Portugal, Egypt, Azerbaijan, Armenia, Mauritania, Liechtenstein, Yemen, United Arab Emirates and Singapore. The Crown Prince of Brunei Darussalam also spoke. Speaking in exercise of the right of reply were the representatives of Serbia, Iran and the United Arab Emirates. The General Assembly will reconvene at 10 a.m. Monday, 30 September, to continue its general debate. The General Assembly met this morning to continue its annual debate. PORTIA SIMPSON MILLER, Prime Minister of Jamaica, underlined the need to accelerate efforts to fulfil the Millennium Declaration in the limited time remaining, quoting her country’s national hero, Marcus Garvey, who said that too many people faced the “hellish state” of poverty. The post-2015 development agenda should complete the unfinished business of the Millennium Development Goals and balance the need for robust economic growth, job creation, poverty eradication and protection of the environment. Small island developing States, she said, needed particular focus in deliberations, as they were grappling with climate change, sea-level rise, and socioeconomic changes. She looked forward to the International Year of Small Island Developing States, calling for international support of the Samoa Conference and mainstreaming of the Small island developing States agenda. She hoped that people with disabilities received attention, also calling for action to tackle non-communicable diseases and the high human toll taken by road traffic accidents. Development efforts needed sustainable and innovative financial backing and middle-income countries needed special attention. Job creation, especially for youth, was essential amid high global unemployment and working poverty. Social protection schemes providing for people’s basic needs and empowering self-advancement were needed to stop people from “falling through the cracks, being overlooked and failing to achieve a decent quality of life”, she said, adding a call for a focus on children. She pointed to Jamaica’s extensive efforts to meet its obligations to children, and she condemned violence and abuse against children. Highlighting the issue of human trafficking, she recalled “the horrors and evils of slavery — in history and in this modern-day form”. Unity was needed to stamp out a transnational scourge wherever it existed and to bring its perpetrators to justice. Nothing resembling slavery should ever be tolerated, she added. She was working with the Caribbean Community and African Union members to erect a permanent memorial to the transatlantic slave trade at the United Nations and a design had been chosen. She was grateful for contributions, but also expressed support for an international discussion on reparations and she supported the initiative for a decade for persons of African descent. The quest for development required peace and security, she said, highlighting transnational organized crime. Increased collaboration was needed and she welcomed the recent agreement on the Arms Trade Treaty, which was one of several steps necessary for the international community to tackle terrorism, crime and violence. Jamaica was working towards ratification of the Treaty and called for bilateral and regional cooperation to help deal with crime, violence and security issues. She expressed concern over the situation in Syria, noted firm commitment to lasting peace in the Middle East and reiterated her call for an end to the embargo against Cuba. NAVINCHANDRA RAMGOOLAM, Prime Minister of Mauritius, strongly condemned the terrorist attack in Kenya, which he said should compel us to revisit the regional and global responses to national and international security. On the post-2015 development agenda, he welcomed the concept that it be guided by the vision of eradiating extreme poverty in the context of sustainable development. “Climate change should be one of the top priorities on the global agenda,” he said. Responsible for global warming, humans were putting life on earth in jeopardy, he said. No country was safe from natural hazards and from the damaging effects of climate change, particularly for small island developing States as the foreseeable consequences threatened them even more dramatically in terms of human and economic development. He called for a global, legally binding agreement on climate change by 2015. On the issue of disaster risk reduction, he said the time had come to address disaster risk and climate change adaptation through an integrated approach and to adopt “resilience” as a common and shared vision. In light of the upcoming Third International Conference on Small Island Developing States in 2014, he welcomed opportunities to discuss the concept of “global concerns”; issues which should be the concern of the global community at large and not only of those who were more vulnerable and more at risk. On the global economy, he said that given we were an interconnected and interdependent world, not a single nation was immune from external shocks. Small States, however, were particularly susceptible as they were heavily dependent on foreign markets for trade, tourism and investment. Mauritius therefore encouraged the post-2105 development agenda to include a road map for an interconnected world economic system, premised on the assumption that the global economy would be “as weak as its weakest links”. He said universal targets of all nations should be eradicating extreme poverty, empowering women, providing wider job and educational opportunities to young people, improving health care and better managing energy, water and food resources. “The conventional divides of the past are no longer valid,” he said, adding that existing global economic governance mechanisms must be revisited. Cognizant that the rule of law and therefore open and participative democracy, accountability and transparency were concepts to be promoted at the national and international levels, he urged for the reform of the Security Council, whose membership should be extended to Member States from Africa, Latin America, small island developing States and India. Stating that rule of law should prevail in the resolution of disputes, in accordance with the United Nations Charter, he noted that the dismemberment of part of his country’s territory, the Chaos archipelago, by the United Kingdom was in “clear breach of international law. He added that it “left the process of decolonization not only in Mauritius, but in Africa, incomplete”. He went on to welcome the rise of a “re-energized Africa”, as exemplified in the return to normalcy in Mali, and hoped for more regional cooperation. Moving to the situation in the Middle East, he condemned the use of chemical weapons in Syria, welcomed the possibility of the peaceful coexistence of the States of Palestine and Israel, and underlined his country’s support to a peaceful restoration of democracy in Egypt. MOANA CARCASSES KALOSIL, Prime Minister of Vanuatu, recalled his country’s long-standing commitment to speak out in the Assembly against colonialism and neo-imperialism. “And again today, I stand here once more, on behalf of the entire population of our archipelago, to speak for those who are still living in the colonized territories,” he said, while welcoming the positive steps taken towards recognizing the inalienable right of French Polynesia to self-determination, as well as the discussions on New Caledonia. He then turned to the question of West Papua and the need — as stressed by Secretary—General Ban Ki-moon during his 2012 visit — to ensure the population’s human rights were respected. “It is clear from many historical records that the Melanesian people of West Papua were the scapegoats of cold war politics and were sacrificed to gratify the appetite for natural resources which this country possesses,” he said. Member States of the United Nations, subscribing to the principles of democracy, good governance, human rights, accountability and the rule of law, and in the age of technology, in which nothing could be hidden from the attention of civil society and Government, could not ignore the issue of West Papua. Since independence, he continued, the indigenous people of Vanuatu were still concerned that France still held on to part of their maritime and cultural jurisdiction, including Umaenupne (Mathew) and Leka (Hunter) islands. Of paramount importance, the islands formed the basis for the establishment of Vanuatu’s unique cultural framework, connecting the cultural island group known as the Tafea islands. He called on the United Nations to uphold the principles of respect for the right of indigenous peoples and their livelihoods, and on France to allow the indigenous people of Tafea to access to the land of their forefathers. Turning to the post-2015 development agenda, he said it compelled a rethink of global partnership structures and national priorities, as well as action to better achieve the targets. An integrated and balanced approach was therefore required in the social, economic and environmental dimensions. Vanuatu was committed to tackling climate change, seeking renewable energy sources and pursuing sustainable development. He called for the urgent fulfilment of financial pledges, considering the fast pace of climate-change-induced impacts on small island developing States. He also underlined his country’s commitment to building stronger resilience against vulnerabilities, which would entail a “quantum leap” in national infrastructure development, involving new roads, wharfs and airports. Those would enable, among other things, greater integration of the rural population into the national economy. “All our development initiatives must be inclusive and not leave behind the poor and the marginalized,” he emphasized. He concluded by highlighting measures taken to ensure gender equality and women’s empowerment. EDI RAMA, Prime Minister of Albania, said that the United Nations, for all the criticism it had drawn, was a living reminder that the march of progress was powered by debate, ideas, cooperation, argument and agreement. A small country with great potential and outstanding natural beauty, Albania had good and hard-working people, he said, adding that his challenge was to bring change that would fulfil the country’s potential, with the understanding and support of friends and partners. A negative media image surrounded Albania, he noted, conceding that problems such as corruption were real and damaging. Beating corruption and building economic rule of law to attract more investment and develop tourism would not be easy, but it could be done, he added. Underlining the tremendous changes under way in the world, he said the United Nations should respond by undertaking reforms in order to boost its effectiveness. One important aspect of change was reform of aid delivery, he said, applauding the “Delivering as One” initiative as the way towards ensuring greater effectiveness and efficiency, as well as better value for money. Highlighting his country’s efforts to join the European Union, he said that States in the region should see the bloc as a vehicle for a better and more prosperous common future. Successful regional cooperation had a direct effect on collective prosperity, he said, laying out a vision of the Balkan States working together “in defiance of our history of so much war and conflict”. He welcomed the steps that Kosovo and Serbia had taken towards reconciliation, and expressed Albania’s strong commitment to the former’s “irreversible independence”. Urging all States in the region “to replace the politics of division with the politics of cooperation”, he said the task would require time, perseverance and leadership. He described the recent use of chemical weapons in Syria as a despicable crime against humanity, and called for the rapid and full implementation of the Security Council resolution on removing and destroying that country’s arsenal. ANTONI MARTÍ PETIT, Head of Government of Andorra, recalled his country’s admission to the United Nations 20 years ago, following more than seven centuries of peace there. “Andorra was formally recognized as what had been a reality for over 700 years — a sovereign, democratic country without an army, which has kept itself neutral in the heart of the Pyrenees,” he said. The landlocked country remained committed to the Organization’s principles and values. Turning to the world body’s emphasis on development in recent years, particularly the Millennium Development Goals, he said all reports indicated that their 2015 deadline would arrive with most of the objectives still unmet. Little progress had been made on environmental sustainability and protection over the last 13 years, and child mortality continued to increase in the poorest countries and regions. Universal primary education by 2015 was “totally unviable”, and there had been insufficient advances in preventing and treating AIDS in the poorer countries. However, it would not be fair to emphasize only what had not been done, he said. Among other achievements, the number of people living in extreme poverty had been halved and the proportion of the world population with access to safe drinking water had risen from 76 per cent in 1990 to 89 per cent in 2010. Unfortunately, there was an impression that Heads of State and Government met in a first-world city, full of good words and good intentions, but totally inefficient in solving problems that threatened the lives and dignity of millions of people all over the globe. Those people needed to know that those proclaiming the spread of democracy and the rule of law were the same people who had been making great efforts to reduce poverty, hunger and child mortality, and to promote gender equality and universal education. Turning to the conflict in Syria, he said the strong reaction by the United States and France, alongside the pragmatic attitude of the Russian Federation, had generated the momentum needed to advance in the search for the right balance. The resumption of negotiations between Palestinians and Israelis could be included in the dynamics of the same search. “In every conflict we are unable to solve, we are placing the principles and values that are most appreciated by the international community at risk — peace, security, dialogue, human rights and democracy,” he said. Andorra would probably not have enjoyed more than 700 years of peace had there been great inequalities among its inhabitants, had its laws not been fair, or had tyranny reigned instead of a parliamentary system. “There could not be peace without justice in Andorra or anywhere else,” he declared, reminding previous speakers of their obligation to guarantee peace and fairness, democracy and development, human rights and peaceful conflict resolution. World attention was rightly focused on Syria, he said, noting that a conflict that had begun with anti-Government protests threatened to descend into a war of ethnic cleansing. With fighters from Hizbullah engaging on Syrian soil, the conflict now menaced Lebanon too. Communities were dividing along religious lines, with hard-line preachers urging violence between Sunni and Shia. Meanwhile, Iraq’s security situation continued to unravel as Sunni extremist groups and Shia militia struggled for control, he said, adding that almost 3,000 people had been killed in the last four months. In Pakistan, bombings had wrecked the city of Quetta, killing hundreds, he continued. In August, militants had ambushed buses, dividing the passengers according to creed; those answering incorrectly had been executed. Emboldened by political failures, radical preachers and militant groups were turning civil conflicts into wider religious wars, he said, stressing, however, that there was no scriptural basis for the atrocities being committed in Islam’s name. Noting that the extremists would not stop even for Ramadan, he said more than 4,400 people had died in Syria during the holy month, 371 in Iraq and 120 in Pakistan. It was time to end the killing and focus on building a common agenda for peace and prosperity, he said. “Our task is to reclaim our faith and stand firm against the minority who use Islam to further violent and unjust means,” he emphasized. “We should not mistake moderation for weakness.” Moderation could be practised nationally, as in Malaysia, and by fostering mutual respect and stronger bonds between different communities and faiths. All countries should reinforce their commitment to moderation in religion, sustainable development and stable economic growth. Moderation could also direct regional policy. It was at the heart of Malaysia’s efforts to bring peace to the southern Philippines and to Thailand’s restive south. Moderation could guide global approaches to global challenges, helping to resolve political problems that had raised tension in the Muslim world, starting with Syria, he said. He went on to underline his country’s opposition to unilateral action to resolve the conflict, and welcomed the framework agreement between the United States and the Russian Federation. Condemning the use of chemical weapons, he called on the global community to bolster efforts for a diplomatic solution under United Nations auspices. It was also vital to find the vision and political will to commit to a just solution for Palestine, he said, expressing hope for progress towards a viable Palestinian State based on the pre-1967 borders and with East Jerusalem as its capital. The Arab Spring had shown that the Muslim world was crying out for change. Governments must answer that call, he added, stressing that they must provide good governance to fight corruption, create jobs to tackle poverty and deliver sustainable growth. “We must create economies in which people can fulfil their own aspirations, not those of extremists,” he said. KHIL RAJ REGMI, Chairman of the Council of Ministers of Nepal, said that sustainable development would not be realized while pervasive poverty, unsustainable consumption and production patterns and environmental degradation continued. The sustainable development goals should build on the foundation of the Millennium Goals, ensuring that unfinished tasks were completed before embarking on a new agenda. Poverty eradication must be central to the new development agenda, he said, adding that the targets should work in the interests of poor and marginalized people. Describing his country as the fifth most vulnerable to climate change risk, he said that it disproportionately bore the brunt, in stark contrast to its negligible contribution to greenhouse gas emissions. Calling for the early conclusion of climate change negotiations, he stressed the need for binding commitments on emissions and financing to enable vulnerable countries to adapt and mitigate. Nepal also faced structural constraints as a landlocked least developed country, he said, describing national efforts to integrate the Istanbul Programme of Action’s priorities while stressing the need for partners to help create enabling environments and genuine partnerships for speedy implementation. Nepal looked forward to the 10-year review of the Almaty Programme of Action and to forging a follow-up plan. Like many other least developed countries, Nepal awaited a “harvest” from the Doha Development Round, he said, pointing out that 49 such nations accounted for a mere 1 per cent of global trade. Nepal expected the Bali Ministerial Conference, scheduled for December, to address the concerns of least developed countries, he said. The needs of poor and marginalized people like international migrants needed close attention, especially given the potential for migration to make globalization fairer for the world’s “bottom billion”. In line with the ideals of the Non-Aligned Movement, people-centric development was dependent on strengthened multilateralism. The Movement had a greater role to play in fostering international peace and security at the United Nations and beyond, and should pursue reform of the Organization and the Bretton Woods institutions. As Nepal emerged from conflict, he said, it was vital to address exclusion, inequity, corruption and human rights violations, with a particular focus on unleashing women’s potential. Doing so would have great implications for advancing society as a whole, he said, adding that constitutional, legislative and institutional provisions guaranteed equal rights for Nepalese women. Facing a crucial crossroads in the peace process, the latest developments included a “slide into political uncertainty” in 2012, despite the dissolution of the Constituent Assembly. He said he had taken responsibility for arranging free, fair and credible elections for a new Constituent Assembly, and those were scheduled for November. MANMOHAN SINGH, Prime Minister of India, said scepticism about the United Nations capacity to advance peace, security and prosperity was at an all-time high, while the environment for multilateralism was poor. The United Nations was at its most successful when adhering closely to the letter and spirit of its Charter, working consensually. Since its foundation, Asia and Africa had become independent, global interdependence had grown and the world faced new, complex challenges. Effective multilateralism needed effective multilateral institutions, and the Security Council needed reform and restructuring to reflect current political realities, with the inclusion of more developing countries as permanent and non-permanent members. Developing countries also needed stronger voices by multilateral financial institutions, he said. They had been disproportionately affected by the economic slowdown and volatility of world financial markets and needed a supportive international economic environment to recover. Investment flows needed to increase, including from multilateral development banks, while technology transfer and an open multilateral trading regime were needed. To tackle the problems of the more than 1 billion people living in poverty, “special attention and a new thrust” was required and the eradication of poverty should be the anchor of the post-2015 development agenda. That agenda, he said, would fall short of its goals if it focused on governance rather than boosting economic growth. Reprioritizing domestic spending was just one aspect and the agenda needed to foster genuine international partnership between developing and developed countries. Developing countries knew their own situations best and should be given the policy space to set their own domestic priorities. The goals, therefore, needed to be clear and concise, with practical and well-defined means of implementation, including resourcing and technology transfer. Among several other priorities of the agenda, women needed equal access to economic opportunities and should not suffer violence or prejudice. He continued, describing how India promoted inclusive development through expanded education access, the world’s largest food security programme and the harnessing of digital technology to improve delivery of public services. Despite modest resources, he was proud of India’s partnerships with developing countries. He was committed to building 100 institutions in Africa, offering capacity-building support, such as scholarships for students. He also pointed to the India-Africa Forum Summit process and India’s engagement with the third Conference on Small Island Developing States in 2014, the latter reflecting his belief in the need for a robust global response to climate change that was based on equity and the principle of common but differentiated responsibilities. Turning to peace and security, he expressed concerns about the “increasingly lethal” conflict in Syria, but was encouraged by the resumption of direct talks between Israel and the State of Palestine. Afghanistan’s transition needed international support, with a particular focus on terrorism, an item which remained a grave threat to security and stability everywhere. He noted that State-sponsored cross-border terrorism was a particular concern of India because the regional epicentre of terrorism was found in its neighbour, Pakistan. Despite that, he looked forward to meeting Pakistan’s Prime Minister, Nawaz Sharif, promising to address all issues through dialogue. Calling on Pakistan to refrain from “aiding and abetting terrorism directed against India”, he stressed that Jammu and Kashmir were integral parts of India and that there never could be “a compromise with the unity and territorial integrity” of his country. He added a call for strengthened efforts against nuclear proliferation and in support of disarmament. JOSÉ MARIA PEREIRA NEVES, Prime Minister of Cape Verde, stated that despite his country being a small island developing State, it had already achieved most of the targets in the Millennium Development Goals. Through a transformative agenda, adopted in 2001 when the country had still been part of the least developed countries group, Cape Verde had made significant progress in the socio-economic and political arenas. By focusing on access to education, health, water and food, the right conditions had allowed Cape Verde to transition to the group of middle-income countries. Further, he noted that the poverty rate had decreased from 20.5 per cent in 2002 to 12 per cent in 2012. However, despite progress made, he said, there remained challenges. Most notably those included existing poverty, inequality, unemployment and insufficient access to goods and services. “Cape Verdeans are ready to push for the evolution of the postulates of the Millennium Development Goals and replace ‘reducing’ with ‘eradicating’ extreme poverty, leaving no one behind,” he said. Recognizing that transformation was needed, he spoke of the creation of accountable institutions to ensure good governance. He added that focusing on internal policy was not enough, as support by international partners was also needed. Turning to climate change, he identified it as a matter that needed to be addressed with urgency and responsibility. Indeed, the world had reached record highs in terms of emissions and concentrations of carbon dioxide in the atmosphere, which could mean the destruction of Cape Verde’s development efforts and the exacerbation of social tensions, opening doors to potential national and regional conflicts. Similarly, the impacts on global food security should be stressed, he said. Moreover, ocean acidification increased and the disappearance of numerous marine species had become inevitable. He therefore asked the Assembly to address the issue, taking the necessary decisions and fulfilling the financial commitments for change, particularly in the most vulnerable countries. Concerning the post-2015 development agenda, he said that the issue of employment dominated the concerns of his country. Another concern was the sustainability of social security and the need for a universal welfare system, which could be possible only through a dynamic economy. Solid, sustainable foundations for social support required an expansion in wealth, possibly through the modernization of the society, a competitive economy, improving business investments and attracting foreign investment. The greater results would be economic growth and the creation of wealth to induce improvement of indicators that mattered. As a country with Portuguese as the official language, he took the occasion to reaffirm the country’s desire and commitment to cultural diversity. In the eagerness for multiculturalism, he pleaded that Portuguese — the fifth most spoken language in the world — be an official or working language for international organizations, particularly the United Nations. On Syria, he strongly condemned the use of chemical weapons and also expressed his country’s solidarity with Kenya following the recent terrorist attack. He concluded by reaffirming his country’s commitment to cooperation in creating a new agenda after 2015 in favour of sustainable development. LEO DION, Deputy Prime Minister and Minister for Inter-Government Relations of Papua New Guinea, said his country’s unprecedented economic growth was due to stable Government as well as responsible, sound monetary and fiscal policies. Half of the 2013 federal budget had been spent on education, basic health care, law enforcement and critical infrastructure improvements. The Government was committed to public-private partnerships to spur national development, and to investing in provincial and local governments so as to improve the delivery of services to rural communities. It was reviewing tax policies to encourage strategic investments in areas critical for economic development, and had adopted a national anti-corruption strategy as well as an independent task force with powers to investigate and prosecute. The Government was committed to addressing human rights concerns, including gender-based violence, sorcery-related deaths, poor social services and low representation of women in both the public and private sectors, he said. Much of the analysis of Papua New Guinea in the international human rights and human development arenas was exaggerated and paid scant attention to the Government’s positive efforts to promote basic rights for all. The Government had ratified the Convention on the Rights of Persons with Disabilities and deposited the instrument of ratification with the United Nations. It had a bilateral agreement with Australia to resettle asylum seekers, he said, calling on States to address the root causes of displacement and dislocation, and to combat human trafficking and smuggling. He said that, in the spirit of South-South cooperation, his country was sharing the benefits of natural-resource development with neighbouring Solomon Islands, Fiji, Tuvalu, Marshall Islands, Tonga and Samoa. Through the Melanesian Spearhead Group, it was also forging strong trade, investment, education, judicial and cultural ties to facilitate the movement of skilled people. Papua New Guinea, alongside other Pacific small island developing States, had called for the inclusion of oceans as a stand-alone sustainable development goal, he said, adding that those States should remain a special case for development. While they contributed the least to climate change, they suffered the most from its impacts and risked being submerged by rising sea levels, he pointed out. Papua New Guinea supported the Majuro Declaration on Climate Leadership, adopted by Pacific Island Forum leaders, he said. Turning to Syria, he condemned the use of chemical weapons there, urging full compliance with the Chemical Weapons Convention and hailing the Security Council’s resolution on dismantling Syria’s arsenal. Since October 2011, Papua New Guinea had contributed troops to the peacekeeping missions in Sudan and South Sudan, and earlier in 2013, it had joined the Special Committee on Peacekeeping Operations. Concerned by the lack of progress on disarmament and nuclear non-proliferation, he called on the United Nations to revitalize work in that area, and welcomed the adoption of the Arms Trade Treaty. It also welcomed the Secretary-General’s leadership in reforming the Organization, and called for robust, constructive reforms in the face of growing budgetary constraints. GUIDO WESTERWELLE, Federal Minister for Foreign Affairs of Germany, recalled that, exactly 40 years ago, the two German States had joined the United Nations, marking their return to the international community. Germany supported the Organization as “the beating heart of a global order rooted in cooperation, peaceful compromise and cooperative solutions”. Underlining the dramatic change the world had seen in those decades, he said the United Nations must reflect “the world as it is, not as it used to be”. A Security Council without permanent seats for Africa and Latin America did not reflect the realities of today’s world, and nor did the fact that Asia, an emerging and highly populated region, was represented by a single permanent seat. Turning to Syria, he the said use of chemical weapons, ascertained by the United Nations, was a crime against civilization whose terrible dimensions had consequences extending far beyond national borders. All the available facts pointed to the regime’s culpability, he said, stressing that the use of chemical weapons could not go unpunished. Welcoming the Security Council resolution on destroying Syria’s chemical weapons, he said the perpetrators of the crime must be called to account before the International Criminal Court, while opportunities for a political process must be used and the humanitarian catastrophe addressed. The tragedy in Syria underlined the extraordinary importance accruing to the disarmament of weapons of mass destruction and the strengthening of the non-proliferation regime. He urged Iran to act on its announcement that it was prepared to remove the international community’s doubts about the nature of its nuclear programme. Welcoming the latest initiatives towards restarting negotiations between Israel and Palestine, he said that only a negotiated two-State solution could reconcile the legitimate interests of the two sides. TITUS CORLATEAN, Minister for Foreign Affairs of Romania, associating himself with the European Union, praised the efforts of the international community in Mali, and welcomed other developments in the field of peace and security. He then went on to address the post-2015 development agenda, stating that the establishment of the Open Working Group on the Sustainable Development Goals was an important step towards implementation of the Rio+20 [United Nations Conference on Sustainable Development] outcome document. He welcomed the creation of an intergovernmental committee to analyse options for an effective financing strategy and encouraged its coordination with other relevant processes like the Open Working Group. The time was ripe for defining the global framework of development for the decades ahead, he said. He said the Human Rights Council was fulfilling its mandate, addressing promptly grave violations of human rights wherever they happened. He commended the work of the Independent Commission of Inquiry on the human rights situation in Syria, expressed hope that the Universal Periodic Review mechanism would remain universal and praised the professionalism of the Office of the United Nations High Commissioner for Human Rights (OHCHR). He looked to the “unprecedented” number of people requiring humanitarian assistance in recent months, noting that assistance offered by the United Nations was often the only hope for people’s survival. Despite limited financial resources, he would continue supporting humanitarian activities, he said, citing the work of the Emergency Transit Centre in Timisoara. Recognizing the major contribution to peace, stability and security of United Nations peacekeeping and political missions, he called for its increased engagement with regional organizations in the Black Sea region where some conflicts persisted. Some regions had already seen the dividends of such efforts, he said, drawing the Assembly’s attention to positive results obtained through the Southern-East European Cooperation Process, where regional dialogue repeatedly proved its worth in overcoming differences. Looking ahead, the Process’ members would focus on meeting the challenges of change and interdependence through regional cooperation. He continued, by calling for support for democratizing countries, noting that he would promote a draft on “human rights, democracy and rule of law in the context of post-2015 development agenda”. VLADIMIR MAKEI, Minister for Foreign Affairs of Belarus, said that great Powers sought to provide global governance through the “clubs” confined in membership only to themselves, while medium-sized and small countries saw their rights infringed at every turn. “We should start, in our view, with empowering the State,” he said. The globalization of the past several decades, especially its unregulated phase, had clearly worked to reduce the State’s importance, whereas addressing constantly arising challenges sparked by globalization required a strong State. “A strong State is an accountable State, both in domestic and foreign policy, regardless of its form,” he said, emphasizing that the political affairs of one country could not serve as the basis for other countries to pursue illegitimate policies of sanctions and coercion. Stressing the importance of building a robust middle class in every State, he recalled how history had proved that countries with a middle class enjoyed domestic stability and had an interest in pursuing foreign policies oriented towards stability. “We are convinced that the middle class produces a benign effect at the national level,” he said. Moreover, middle-income countries were the best safeguard of a stable, multilateral and fair international system. Many of those had just lifted themselves from the grip of poverty and domestic instability, and had fully realized the importance of global development and solidarity with least developed countries. The unfettered globalization that “market fundamentalists” so ardently advocated increased inequality and hollowed out the middle class, he noted. With the rapid approach of the Millennium Goals deadline, it was important to draw key lessons in tackling poverty, conflicts and environmental disasters. The post-2015 sustainable development agenda must address what the Millennium Goals had not — migration, energy and employment. Each and every Goal must be realized through appropriate thematic global partnerships bringing together States, international organizations, civil society and the private sector. The greatest danger during geostrategic uncertainty was not uncertainty itself, but rather the urge to apply yesterday’s logic in complex situations, he said. RUI MACHETE, Minister for State and Foreign Affairs of Portugal, strongly condemned the terrorist attack in Nairobi, describing it as a reminder of the importance of anti-terrorism efforts. The recent use of chemical weapons in Syria was unacceptable, a violation of global law, a heinous crime and a regression of civilization, he said, saluting the political and diplomatic efforts of the United States and the Russian Federation that had led to the adoption of the Security Council resolution. It was vital to seize the opportunity created by the initiative on chemical weapons to consolidate the political-diplomatic track and hold the Geneva II Conference. He said the parties to the conflict bore the primary responsibility for solving it, but the international community must keep up the pressure on the parties in Damascus to help them create a peaceful, sustainable, democratic and inclusive society. Hailing the United States initiative to bring Israel and Palestine back to the negotiation table, he emphasized that the unique opportunity to resolve the conflict peacefully must not be missed. As for the regrettable lack of solid progress in resolving the Iranian nuclear issue, he said the recent statements by Iran’s new President and other high-ranking officials were a positive sign, and appealed for their translation into concrete steps conducive to a negotiated solution that would restore the international community’s confidence in the nuclear programme’s civilian, peaceful nature. Expressing concern over the situation in Guinea-Bissau, he said that Portugal, as a member of the European Union and the Community of Portuguese-speaking Countries, and in close coordination with the Economic Community of West African States (ECOWAS), was working to help that nation overcome the crisis. Presidential and legislative elections must be held, in line with commitments made by the current authorities, and as reiterated in the Security Council’s 11 September presidential statement. Concerned also over the possible extension of the transition period, he said the authorities must guarantee that all citizens could participate in the elections. The crisis had clear and worrisome connections to the Sahel region, namely through drug trafficking routes, he added. ERLAN ABDYLDAYEV, Minister for Foreign Affairs of Kyrgyzstan, said water was at the core of his country’s development, and yet remained its most scarce resource. Global warming had shrunk Kyrgyzstan’s glaciers by 30 per cent, and according to forecasts, all glaciers in the country would melt by the year 2100, unless something was urgently done. The melting waters were the primary source of rivers in Central Asia, and the international community must continue to assist in addressing that problem. Stressing the importance of developing hydro-energy through the construction of large hydroelectric power facilities, he said the hydroelectric power of upstream countries was a low-carbon development. Mountains comprised more than 90 per cent of Kyrgyzstan’s territory, and like other mountainous landlocked countries, it had special development needs, he said. Kyrgyzstan supported mountain development, in accordance with the goals outlined at Rio+20. Mountainous regions faced high levels of poverty, isolation, transportation costs and a large amount of debt. Such special needs and challenges must be reflected in the post-2015 development agenda, he stressed. The valuable ecosystem and wildlife only found in mountains must be conserved and protected, he said, outlining the relevant 10‑year national strategy for doing so. Afghanistan’s drug production, the highest in the world, was the source of a full range of threats, endangering the stability and security of Eurasia, he said. Afghanistan must be involved in developing regional cooperation and implementing various initiatives, including the export of electricity and the creation of road and railroad communications. On Syria, he called upon both sides of the conflict immediately to cease hostilities and resolve the crisis through dialogue under United Nations mediation. Kyrgyzstan supported the initiative to transfer Syria’s chemical weapons arsenal under international supervision, he added. ELMAR MAHARRAM OGLU MAMMADYAROV, Minister for Foreign Affairs of Azerbaijan, noted that his country had become a donor, contributing to sustainable development efforts in Africa, Asia and Latin America. “This is a brand new chapter in our history,” he said, noting that the Food and Agriculture Organization (FAO) had recently recognized the nation’s achievement in combating hunger and meeting the Millennium Development Goal on undernourishment. Moreover, gender equality, women’s empowerment and combating HIV/AIDS had also been identified as areas for progress. Describing information and communications technology as a key element of the post-2015 development agenda, he said his country had proposed to establish the Eurasian Connectivity Alliance. Azerbaijan acknowledged the support of Member States for the regional platform through the adoption of Assembly resolution 67/298, he added. On peace and security, he recalled that in 1993, the Security Council had adopted four resolutions condemning the use of force against Azerbaijan and the occupation of its territories. The texts reaffirmed respect for the country’s Azerbaijan’s sovereignty and territorial integrity, reconfirmed the Nagorno-Karabakh region as an integral part of Azerbaijan, and demanded the immediate, full and unconditional withdrawal of the occupying forces. “To our deepest regret,” he said, those demands had not been implemented and mediation efforts through the Organization for Security and Cooperation in Europe (OSCE) had not yielded results. Against that background, he continued, Armenia had sought to distort the actual situation, downplayed the relevance of the Council resolutions and misinterpreted their provisions, with a view to deflecting the international community’s attention from the problems caused by its continuing aggression. Armenia’s annexationist claims, as well as measures to consolidate the status quo and prevent the return of internally displaced persons constituted an open challenge to the conflict resolution process and posed a serious threat to international and regional peace and security. However, Azerbaijan remained committed to the process, in the conviction that the two communities of its Nagorno-Karabakh region would one day live side by side in peace and dignity, he said. PERRY G. CHRISTIE, Prime Minister and Minister of Finance of the Bahamas, said that, too often, in the headlong rush for change, the vulnerable and weak were damaged. Pledges were made, but seldom lived up to. That dynamic was at work among many of the more developed countries against small offshore service-based economies, especially in the Caribbean. Some, either unilaterally or in small groups of high-powered nations, imposed their will, arguing that there was something fundamentally immoral, something intrinsically sinister, about the accumulation of wealth in offshore jurisdictions. He rejected that premise and criticized in the strongest possible terms the efforts of some to maim — if not destroy — the offshore economies in the Caribbean. He said it was ironic that the anti-money-laundering, anti-terrorist funding and anti-criminal regulatory regimes of many offshore countries were far more robust and demonstrably more effective than the corresponding regulatory regimes in the countries leading the fight against them. Offshore financial services could be responsibly operated, and afforded an honest opportunity for families and individuals to protect their privacy while accumulating lawfully earned capital for themselves and future generations. The United Nations should take the lead in developing and refining multilateral global mechanisms for the governance of the offshore financial-services sector, which met the legitimate demands of the developed world for the protection of their fiscal systems. Among other issues affecting the region, he said the Bahamas suffered from illegal migration of tens of thousands of desperate people from Haiti and other countries, in an exodus driven by crushing poverty. His country placed a great deal of emphasis on the human rights of migrants, but also believed that due attention should be paid to the ill effects caused to receiving States as well. His country was further concerned by the influx of guns throughout the Caribbean region, and had this year signed the Arms Trade Treaty. More robust surveillance and reconnaissance measures were needed, including to stem the illicit drug trade, and more resources should be allocated to the region-wide effort to fight crime. HAJI AL-MUHTADEE BILLAH, Crown Prince of Brunei Darussalam, stressed that the current Assembly session theme required a national vision; his nation’s was the “Brunei Vision 2035”. That strategy provided the direction for attaining a dynamic and sustainable economy, with an emphasis on helping the younger generation realize their hopes through quality education, innovation and better job opportunities. Brunei Darussalam also assisted other developing countries — bilaterally or in partnership with other countries and international organizations — in developing human resources, offering scholarships to study in Brunei Darussalam, as well as providing training under community outreach programmes within the region. Noting that Brunei Darussalam held this year’s chairmanship of the Association of Southeast Asian Nations (ASEAN), he said that the country had chosen the theme “Our People, Our Future Together” towards achieving a regional community by 2015. Brunei Darussalam had also encouraged the bloc’s member States to start working on a post-2015 ASEAN plan to strengthen efforts for peace, stability and prosperity. They would also work together to strategically position ASEAN in the wider region and the world at large, he noted, also underscoring the importance of greater cooperation between the United Nations and ASEAN. Turning to the Millennium Development Goals, he said that the targets had opened up opportunities to every State to develop in its own way and involve its people in that process, even beyond 2015. Unfortunately, the options had been limited for some peoples. That was particularly so when their basic right of self-determination was denied, he said, voicing support for the Palestinians’ right to an independent and sovereign State. On Syria, he welcomed the United States-Russian Federation framework to eliminate its chemical weapons arsenal and the resolution just adopted by the Security Council. THONGLOUN SISOULITH, Deputy Prime Minister and Foreign Minister of the Lao People’s Democratic Republic, painted a grim picture of the world’s political, socioeconomic and environmental situation, and urged the international community to redouble its efforts to enhance development cooperation based on sincerity and mutual cooperation. “As the world today becomes increasingly interdependent, no single country can develop and survive on its own without engagement and cooperation of the international community,” he said, adding that global institutions like the United Nations had an important duty to fulfil. Sharing other speakers’ concern over the deteriorating situation in the Middle East, he welcomed the agreement reached by the Russian Federation and the United States on Syria’s chemical weapons. Addressing the issue of Palestine based on the principle of creating two independent States of Palestine and Israel required the international community’s urgent attention, he said, commending the efforts of both sides to resume negotiations. He also called for the economic embargo on Cuba to be lifted. Highlighting his country’s efforts to fulfil its international obligations in maintaining peace and promoting the rule of law, he said the country was creating a conducive environment for national development, with a view to graduating from its least developed country status. The country had played an active part in ASEAN’s community building, of the view that regional cooperation contributed to world peace, security and development. Despite achievements in socioeconomic development, the country faced daunting challenges in achieving the Millennium Development Goals. Deeply affected by cluster munitions and unexploded ordnance, his country sought strict adherence to a total ban on those weapons. Addressing the special needs of landlocked least developed countries had become an international obligation, he said, calling for greater cooperation from transit countries and development partners. EAMON GILMORE, Deputy Prime Minister of Ireland, hailed the Security Council resolution on Syria, by which it expressed its conviction that there must be accountability for what had occurred in Syria. The International Criminal Court existed precisely for that purpose. He also pointed out the urgent need to remove impediments to the delivery of humanitarian assistance, calling on all parties in Syria to facilitate access and on the international community to provide support to neighbouring countries that were sheltering millions of Syrian refugees. Elsewhere in the Middle East, he saw prospect of progress, namely the resumption of peace talks between Israel and Palestine, and the stated determination of the new Iranian Government to address the concerns about its nuclear programmes. He noted that Ireland was participating in seven United Nations peacekeeping missions, including three in the Middle East; it was deploying Irish personnel to reinforce the United Nations Disengagement Observer Force (UNDOF) in order to ensure the mission could continue its mandate at a difficult time. Condemning the recent terrorist attack in Kenya, he emphasized the need to stay vigilant and resolute against terrorism. In addition to violent conflicts, many other factors, such as underdevelopment, malnutrition and disease, also contributed to human suffering and took an even greater toll on human life. Around the globe, 870 million people, or nearly 200 times Ireland’s entire population, were living in extreme poverty and hunger, with women and children dying from preventable causes. While acknowledging that huge progress had been made under the Millennium Development Goals, he stressed that fresh global challenges, such as climate change, were undermining the progress. He believed, therefore, that when world leaders gathered at the United Nations in 2015, they could and should be ready to adopt a new set of global goals aimed at achieving a sustainable, just and secure future for our world. Citing the Universal Declaration of Human Rights, he said the inherent dignity and the equal and inalienable rights of all human should be protected in law. However, instead of offering protection, discriminatory legal measures were increasingly adopted on the basis of their sexual orientation or gender identity. In that regard, he welcomed the United Nations Secretary-General’s promise to lead a global campaign for lesbian, gay, bisexual and transgender rights, and pledged Ireland’s full support. SURAPONG TOVICHAKCHAIKUL, Deputy Prime Minister and Minister for Foreign Affairs of Thailand, said that with conflicts raging, such as in Syria, Member States had to ask themselves whether multilateralism lived up to its expectations. The success of the United Nations ultimately depended on its Member States and their ability to do better in the face of critical challenges. Despite widespread condemnation and outrage for the Syrian crisis, the United Nations had initially been unable to act. Thailand, therefore, welcomed the Security Council’s adoption last evening of the resolution on Syria and urged its effective implementation. In setting the stage for the post-2015 development agenda, he said, it must be recognized that development could not take root without peace and security, democracy and human rights. Those three pillars should be nurtured together. Ways must be sought to achieve consensus on issues that mattered the most. In the area of security, for instance, when States failed to protect their own population, it was crucial that actions matched words. To avoid future paralysis in the Council when action was most needed, consensus must be achieved on its urgent reform. On other matters of concern, he said sustainable development must be at the heart of the United Nations agenda, and there should be special emphasis in the post-2015 agenda on the needs of the most vulnerable countries. Failing that, millions would be left behind. For many States, climate change “strikes at the very heart of survival”, as it was linked to food security. The impact on agriculture affected the whole world, and not only food producing countries. The foundation of development was human security, which, in turn, was to be built on education and health care, he said. Thailand had implemented in the last ten years a programme that charges only $1 for a doctor’s visit, ranging from common illnesses to life-saving surgeries. Universal health care was also available to non-Thai nationals and had saved 300,000 households from falling into poverty. To provide a nurturing environment for unity and consensus, a new global partnership must be forged through associations with like-minded States, the United Nations, regional organizations and civil society, he added. This process was well under way in Asia, where ASEAN was strengthening its partnership to become a Community of over 600 million people by the end of 2015. Thailand was seeking Security Council membership for the 2017-2018 period, and a seat on the Human Rights Council for 2015-2017. MANASSEH MAELANGA, Deputy Prime Minister of the Solomon Islands, said his country’s Millennium Development Goals score card was mixed, having progressed on some fronts and remaining off track on others. The post-2015 development agenda was an opportunity to “change the way we do business”, he said, noting that his country sought a new spirit of partnership that would reform the global economic architecture. The Pacific subregion supplied 60 per cent of the world’s tuna, and for more than three decades, its countries had developed fisheries institutions and legal and management frameworks. “With international support, we can supply the world with fish.” He noted that 1.3 billion people lacked access to electricity, half of whom lived in least developed countries. Pacific small island developing States were creating a renewable energy database to enhance Pacific inclusion in international energy dialogue and provide data to inspire new global partners to pursue “on the ground” investments, rather than studies. Infrastructure development was also critical, especially for providing opportunities for rural populations. Turning to climate change, he said it was a global issue that required a global solution, as its alarming pace posed unprecedented threats to peoples’ survival. The livelihood and well-being of his people were under threat amid increased carbon dioxide concentrations. He welcomed the Secretary-General’s proposal to convene a climate change summit in 2014, expressing hope it would not be a “talk fest”, but rather garner the necessary political will from States to increase their commitment to reduce and phase-down greenhouse gas emissions, commensurate with science. “That summit remains our best hope in avoiding impacts from reaching an irreversible level,” he stressed, voicing regret that some countries had opted out of their multilateral obligations. He said: “We count on the world to enable small island developing States to eradicate poverty, build resilience and unleash the potential of our youth.” His country had established new diplomatic missions this year in Cuba and Malaysia, and, recalling the overwhelming call in the General Assembly for lifting the economic blockade against Cuba, he expressed hope that the United States would embrace a “forward-looking” policy. Touching on bilateral cooperation in Papua New Guinea, he also welcomed progress by Fiji for people to freely express themselves through parliamentary elections due in 2014. On the Middle East, he noted with concern the preliminary findings on chemical weapons use in Syria, and welcomed the Russian Federation and United States initiative to destroy them. He also voiced support for all international efforts towards the resumption of negotiations between Israel and Palestine. His country continued to seek observer status for the “Republic of China” at the International Civil Aviation Organization and the United Nations Framework Convention on Climate Change. VETE SAKAIO, Deputy Prime minister of Tuvalu, announced that the new Government’s road map was focused on the provision of vital basic services, strengthening good governance and enhancing local capacity to address the country’s unique vulnerabilities, as well as responding effectively to climate change. Recognizing the contribution to the achievements of the United Nations goals made by the Republic of China (Taiwan), he asked for its participation in United Nations agencies. He also reiterated support for lifting the embargo against Cuba. He noted that, according to the 2012 report on the Millennium Development Goals, Tuvalu was on track on four — primary education, child mortality, maternal health and global partnerships — with three having the potential to be achieved, and only one unlikely. The attainment of the goal on poverty eradication was a challenge for Tuvalu, as the country was highly dependent on aid, leasing gratuities and the rental incomes of its national assets and remittances. He urged the United Nations to ensure that small island developing State status and small island developing States specific recognition were truly sanctioned in the United Nations bureaucracy. The Third United Nations Conference on the Small Island developing States in 2014 must be decisive on special windows of partnerships to ensure not only sustainable development but also long-term security and survival of those island nations. The consequences of climate change and sea-level rise in Tuvalu were dire; inaction by the international community could compromise the country’s survival and security, he warned. “What is the relevance of talking about post-Millennium Development Goals and sustainable development goals when the world continues to fail its duty and obligations to urgently reduce greenhouse gas emissions and provide concrete adaptation?” he asked. He added that the climate change issue for Tuvalu was predominantly linked to the ocean and underlined that an oceans sustainable development goal was pertinent. His country was also exploring possible alternative renewable energy sources. He concluded by appealing to the international community to “please save Tuvalu against climate change”. Edward Nalbandyan, Minister of Foreign Affairs of Armenia, said that the international community should to analyse its commitments with a view of the challenges that had arisen while implementing the Millennium Development Goals. The world financial crisis had significantly distracted States from the charted path, but it had also shown that no country could achieve the Goals in isolation. Peace seemed to remain elusive in many parts of the world, and his country was alarmed by the worsening humanitarian situation in Syria, whose citizens continued to flee to his country, already numbering more than 10,000. Plus, tens of thousands of Syrian-Armenians were still in Syria, after that country had become their second home following the genocide of 1915. They were struggling for survival. Armenia welcomed Security Council adoption of resolution 2118 (2013), and hoped it would lead to an end to the suffering of its people. More broadly, he said his country believed that there was “no alternative to peaceful solutions of conflicts”, which required political will and determination. On 18 June, the co-Chairs of the Minsk Group of the Organization for Security and Cooperation in Europe (OSCE) — France, Russian Federation and the United States — had made a statement on the Nagorno-Karabakh conflict. Armenia shared their position and agreed that “peoples should be prepared for peace not war”. Unfortunately, the Azerbaijani leadership was doing just the opposite, including through anti-Armenian speeches, thus seriously endangering the region’s security. Despite its participation in the Security Council, Azerbaijan was also disregarding Council resolutions relevant to the conflict. Armenia, however, would continue its efforts to seek a peaceful solution. In March, the Human Rights Council had adopted by consensus a resolution on the prevention of genocide, initiated by Armenia and co-sponsored by more than 60 countries, he recalled. The recognition, condemnation and prevention of genocide were a priority for his country, as it was a nation that had survived the first genocide of the twentieth century. Armenia also unequivocally welcomed the clear position adopted by United Nations Member States in precluding any possibility of immunity or pardon for perpetrators of crimes against humanity. In May, Armenia had assumed the Chairmanship of the Council of Europe. The cooperation between that Council and the United Nations was well-established in the fight against racism, xenophobia and intolerance, which was another high priority of his country’s agenda. 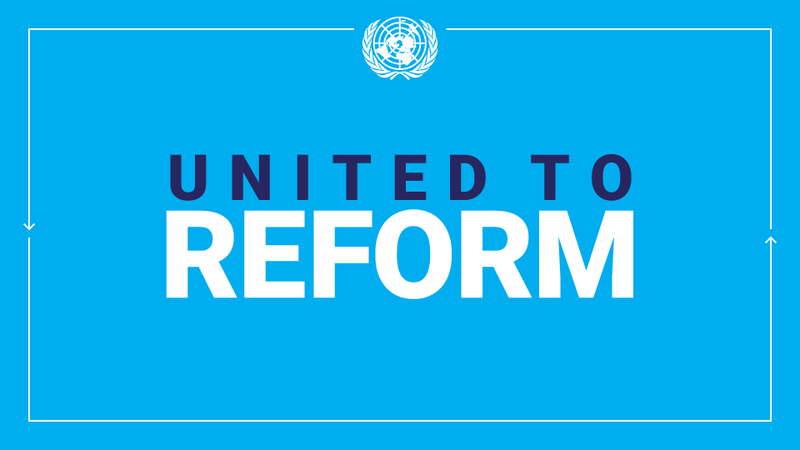 Armenia supported United Nations reform as an opportunity to enhance the role of the Organization, he concluded. AHMED TEGUEDI, Minister for Foreign Affairs and Cooperation of Mauritania, said that the majority of developing countries, and in particular the least developed countries, were far from achieving the Millennium Development Goals. It was incumbent upon all to implement programmes that took into account past failures and looked ahead to future challenges. He called on the wealthy countries of the world to live up to their promises regarding the financing of development programmes in countries with pressing needs, in the area of technology, North-South trade, South-South cooperation, and implementation of new international mechanisms charged with overseeing regional complementarity and strengthened relations among the countries of the South. He said his Government was working to improve the standard of living of its citizens despite limited resources. It had conceived a rigorous education policy and the strengthening of a modern secondary education, with free higher education as well in several different sectors. Schooling had been made available to almost all villages, towns and cities. All areas throughout the country now had middle schools and many also had high schools. There were also programmes to guide students through specialty training programmes for entrance into the marketplace. The medical school had been endowed to cover the shortfall of medical personnel, as well as four nursing schools to train other medical technicians. His Government had allocated a significant part of the budget to the health sector, as well as funds to fight against diseases such as AIDS, tuberculosis and malaria, he said, adding that four new fully equipped hospitals as well as seven clinics were providing primary care, and construction was under way on a new oncology hospital, considered to be the most sophisticated in the region. In addition, ongoing vaccination campaigns sought to serve young children. Mauritania depended on food staple imports, which strained its balance of payment. Under a new policy, however, the agriculture sector was now able to cover 60 per cent of the domestic rice needs and 37 per cent of other grain needs. Wheat crops had been introduced, and cultivation of sugar was under way. A free trade zone had been created in the third largest city of Nouadhibou, which would benefit the entire country and region. He pledged his country’s continued support to the African Sahel, particularly Mali, as well as to Western Sahara, among others. AURELIA FRICK, Minister for Foreign Affairs of Liechtenstein, lauded the Security Council’s breakthrough on Syria and hoped that would create the momentum for that body to finally live up to its responsibility to end the supply of weapons to the parties and facilitate a ceasefire, aimed at achieving a political solution. A referral to the International Criminal Court would not only ensure there was no impunity for the atrocious crimes committed in Syria, but also contribute to a viable political future for the country. Describing the establishment of the International Criminal Court as “the most significant development in international law in the past decades”, she emphasized the importance of the Kampala amendments to the Rome Statute adopted in 2010 on the crime of aggression. Hers had been the first country to have ratified them, and ratifications this week by Andorra, Cyprus, Slovenia and Uruguay were an important step towards activation of the Court’s regime over the crime of aggression in 2017. Stressing the importance of the responsibility to protect populations from atrocities, she pointed out that the international community’s inability to respond to the crisis in Syria demonstrated a crucial weakness in the system: the use of the veto, or its threat, in a manner incompatible with the purposes of the United Nations. That could make the Security Council irrelevant at times when it was most urgently needed, she said, expressing support for the French President’s proposal for a common code of conduct for permanent Council members. The so-called “P5” should be able to give the world one public commitment that they would not use their veto to block action aimed at ending or preventing atrocity crimes. Concerned at the rampant phenomenon of sexual violence in conflict, she stressed the need to empower women, adding that many of the internationally accepted goals, from sustainable development to lasting peace, required the full participation of women. Turning to the sustainable development goals, she said those must be much more than just an extension of past efforts; they must approach development in a holistic way and be firmly rooted in human rights, respect for the rule of law and principles of good governance. More serious commitment was needed to achieve them. ABUBAKR AL-QIRBI , Minister for Foreign Affairs of Yemen, saluted the youth of his country for their leadership in creating institutions, promoting freedoms, and building a new Yemen where justice, freedom and good governance prevailed. The values of freedom, human rights and international peace and security were the pillars on which the United Nations had been established. Firmly believing in those values, Yemen had always sought to implement the instruments of the United Nations and enhance peaceful coexistence among nations. Those lofty principles and objectives had inspired the political settlement and comprehensive national dialogue, which the country had pursued for the past several months. He said his country rejected violence in favour of dialogue and logic. Given the tremendous change across the region, Yemen was a unique model to be followed. He thanked the permanent five Security Council members for their unified and consolidated vision towards Yemen, which had made it possible to forge ahead with the political process and crown it with success. He also thanked the European Union and the Special Envoy to the Secretary-General to Yemen for their efforts. Indeed, his country had made great strides in the implementation of the Gulf Cooperation Council initiative, and it was now focusing on concluding the work of the comprehensive national dialogue and forging ahead with the process of shaping the country’s future. The outcome would serve as a foundation for establishing a modern new Yemen, characterized by democracy, the peaceful transfer of power, the promotion of freedom, justice and partnership and equal opportunities for all citizens. The country was also pressing ahead to enhance security and stability; it was drafting a new constitution and was set to hold a referendum next month. Still, he acknowledged, sustaining the ongoing political progress depended heavily on the support of the international community and enhanced cooperation with the country’s partners. The previously prevailing climate of instability had been a fertile environment for the actions of extremist groups such as Al-Qaida, and Yemen needed to implement a national strategy to combat terrorism. That effort could be accelerated by the fulfilment of pledges from international donors, with whom Yemen was partnering to earmark funds for different aspects of development. ABDULLAH BIN ZAYED AL NAHYAN, Minister for Foreign Affairs of the United Arab Emirates, expressed his deep concern for the recent events in the Arab region, associated with sectarian strife, escalated terrorist attacks and growing incitement to violence. In the Arab Gulf, extremism and terrorism in Bahrain were “destroying a history of tolerance”, he said. It had become, therefore, even more important for his country to promote a culture of moderation and non-violence. A concrete step in that respect had been the establishment of the Hedayah Centre for Countering Violent Extremism. His country had been “deeply disappointed” by the inability of the international community, until now, to put an immediate end to the tragedy of the Syrian people. The United Arab Emirates strongly condemned and rejected all crimes against humanity “committed by the Syrian regime, especially the chemical attack”, he stressed. He said his country was following with great interest the positive developments taking place in Egypt, as it believed in the pivotal role of that country in ensuring stability, development and prosperity for the whole region. The measures taken by the Egyptian Government to protect national security and implement the “popularly supported road map” gave grounds for optimism. The suffering in the Arab region was affected by the interference of others. He encouraged the interconnected nature of the issues to be taken into account. The Palestinian people were still seeking self-determination and he hoped that renewed talks with Israel would lead to a positive result, namely, the establishment of a Palestinian State. Also worrying was the “continued Iranian occupation” of three of his country’s islands — Abu Musa and the Greater and Lesser Tunbs — and he demanded the restoration of the United Arab Emirate’s sovereignty. His country, he went on, firmly believed in the importance of human development at the national and international levels, which could only be achieved through the respect for human rights and equality among all people, regardless of gender, ethnicity and religion. In that context, he was encouraged by the unanimous adoption by the Human Rights Council of its universal periodic review report. On a final note, he said that the empowerment of women, the recognition of their central role in communities and their protection against discrimination were imperative, and his country was proud of the significant measures it had taken in that regard. K. SHANMUGAM, Minister for Foreign Affairs of Singapore, said “We cannot go on with business as usual”; there was a need to “re-think and re-tool” economies and societies, and place poverty eradication and sustainability at the centre of the development agenda. The United Nations, with its universal membership and access to global data, had a critical role in the evolution of the post-2015 development agenda. It had adopted an inclusive and multi-stakeholder approach to gather the views of Member States and harness the energy from civil society, and he hoped that those strands of discussion would be woven into a single, clear framework. He went on to share Singapore’s approach towards sustainable development. Given the country’s land and resource constraints, sustainable development was “a necessity, not just a slogan”. At 700 square kilometres, Singapore was only slightly bigger than Manhattan. To ensure liveability, the Government’s policies on housing, infrastructure, transport and the environment had been well-integrated into a long-term and holistic vision. Over several decades, the country had managed to pursue growth while preserving a good living environment. For example, despite being densely populated and highly urbanised, Singapore’s greening efforts had resulted in vegetation coverage over more than 50 per cent of the country. He then proposed three priority areas for the post-2015 development agenda. First, Member States should learn from the example of the Millennium Development Goals and avoid being prescriptive. As each country was unique, they should be allowed to exercise flexibility in terms of which goals they chose to prioritize and how they would achieve them. The new agenda should adhere to an outcome-based approach. Second, more emphasis should be put on urban management and the intertwined issues of water and sanitation. Third, the views and concerns of small States, particularly small island developing nations, should be incorporated in the coming agenda. He outlined several programmes developed by Singapore to promote sustainable development internationally, and added that the country remained committed to making further contributions. Speaking in exercise of the right of reply, the representative of Serbia said the consolidation of regional peace, security and stability was a priority of the highest order for her country, which fully shared the vision of the Balkans working together, in defiance of a history of war and conflict. Unfortunately, the statement by Albania had praised a unilateral action infringing on the basic principles of the United Nations and that was a clear violation of the Charter. That ran counter to all efforts so far to achieve a sustainable solution to the southern provinces of Kosovo and Metohija. Belgrade and Pristina had reached agreement only over clearly defined matters, such as municipal elections. Her country would not accept Kosovo’s independence. Her country was investing wisely in courageous efforts, whereas Albania’s could not contribute to the strengthening of confidence and resolution among the Balkan States. Resolving the status of the southern provinces was a foremost priority for Serbia, she said, adding that time and time again, it had demonstrated its readiness and will to overcome the accumulated problems. Serbia had invested great flexibility to bring about a solution that was acceptable to all and which took into account the legitimate interests of all communities in Kosovo and Metohija. Iran’s representative said the United Arab Emirates’ representative had used an unacceptable term for the Persian Gulf. As all present were certainly aware, it was an undisputed fact that the full term “ Persian Gulf” had always been used for the sea area mentioned, and countless maps drawn by various regional intuitions had all testified to that point. Moreover, the United Nations’ practice over the past half century had made it crystal clear that the term “Persian Gulf” was the only geographical appellation for that body of water, and should be used in full without exception. Any use of a “fake” name for that body of water was unacceptable and had no legal ground. Further, he said, the United Arab Emirates speaker had raised some unacceptable claims about the three Iranian islands located in the Persian Gulf. Iran reiterated its full sovereignty over those Iranian islands of Abu Musa, Greater Tunb and Lesser Tunb, and categorically rejected any claims to the contrary. The measures undertaken on those islands had always been conducted based on the principles of Iran’s sovereignty. His country stood ready to unilaterally discuss the matter with relevant officials, with a view to strengthening relations in various fields and resolving any misunderstanding between the two countries. The representative of the United Arab Emirates said he was forced to take the floor in response to the “illegal and false allegations” made by Iran claiming its sovereignty over Abu Musa, Greater Tunb and Lesser Tunb. His Government had time and time again expressed its alienable position with respect to the occupied islands. The annual statement made by the Iranian delegation in the hall ran counter to all historic facts and demographic and geographic records, which proved that the ownership of those three islands went to the United Arab Emirates. Consequently, his country would never abandon its legal and political status in those islands; they were part and parcel of the Emirates’ national sovereignty and territorial integrity, and he rejected all escalating and illegal measures taken by Iran over the course of the past four decades. He called on the international community to urge Iran to solve the problem through the means previously suggested, either through direct negotiations or arbitration, or by resorting to the International Court of Justice. Economic prosperity in the Arab Gulf region necessitated neighbourliness and non-interference in nations’ internal affairs.